Rheem, Australia’s favourite hot water brand, has released their 491 and 492 series of electric hot water systems. They’re new and improved versions of the existing 250-400 litre 191 series models offering a variety of features designed to extend their lifespan. To back this up, they now have a 12-year cylinder warranty. 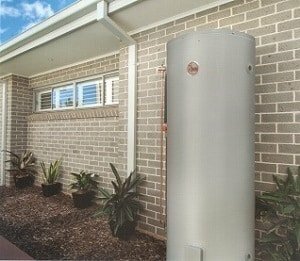 This is the longest electric hot water system warranty Australia-wide. With longevity in mind, they re-engineered the series to withstand many years of operation. Large capacity models – connect to an off-peak overnight electricity tariff e.g. tariff 31 to reduce ongoing running costs. *Warranty (domestic only): 12 years on cylinder. 1 year labour on cylinder, 1 year parts & labour warranty on all other components. Conrad Martens Plumbing & Hot Water has maintained a strong relationship with Rheem for many years. We have been recognised as a Rheem Hot Water Specialist due to our ongoing loyalty and Rheem training. As a Rheem preferred plumber, we receive ongoing training and support and can provide exclusive deals on Rheem products. Fully licensed and insured hot water specialists to service, install, relocate and repair your hot water system. Dedicated hot water service vehicles fully equipped to carry out this specialised field of work. We are committed to providing a high level of ongoing training for our plumbers and apprentices. This ensures we keep up-to-date with all the latest hot water innovations and in turn ensures that you as the customer are provided with the best service and advice. In addition, our emergency after hours hot water service is always contactable for any hot water emergency situations. 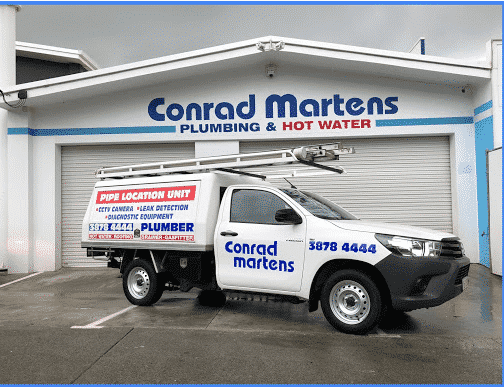 For more information on different types of hot water heaters see our Hot Water page https://www.conradmartens.com.au/hot-water/. If you’d like to discuss your options or need further assistance please give us a call on 3878 4444.